It's that time of year again when the two best teams in the NFL duke it out for the championship at the Super Bowl! As a change of pace, I've decided to celebrate not by highlighting football movies but by looking at some truly Superb Owls. So here you go, my personal picks for the best owls that have appeared in films. Soren, the little barn owl at the center of Zack Snyder's computer animated epic, is so full of heart and courage that it's hard not to be inspired. Just one of the many owls that populate this world, Soren is a the center of it all, the classic chosen one who discovers the secrets behind the titular Guardians. This might not be a great movie, but it's a serviceable and fun adventure with gorgeous visuals and intense action sequences. This Disney classic, an adaptation of the first book of T.H. White's The Once and Future King, is memorable for many reasons; the magic, Merlin, and the trials of a young boy named Arthur. My personal favorite part has always been Archimedes, Merlin's cranky and smart pet owl. A lot of the film's laughs come from him, his head twisting and commenting along during Arthur's training. Not only is he the Goblin King with the power to "dance, magic, dance," Jareth the Goblin King a powerful shapeshifter. Appearing as an owl in order to visit and abduct Sarah's baby brother after she makes an unfortunate wish. Sure he starts out as an owl but he's soon revealed to be none other than the legendary David Bowie and it just so happens he brought some great songs along with him. Jim Henson's film is a classic with memorable imagery, strong performances and some revolutionary puppetry. Both terrifying and incredibly wise, The Great Owl from Don Bluth's debut feature The Secret of Nimh is one of the celebrated animator's most striking creations. A wise sage, The Great Owl sends Mrs. Brisby on her journey, giving her key information needed to save her family. Bluth's art style is iconic and with his first film he created characters that my generation both loved and feared. The story is well known; orphan Harry Potter gets an invitation to attend Hogwarts School of Witchcraft and Wizardry and in his prep he receives Hedwig, a gorgeous snowy owl as a birthday gift. Always at Harry's side, Hedwig is a constant reminder of the strength residing deep within the young Mr. Potter, her stoic gaze and companionship ever so strong. She's a well deserved fan favorite and one of the more memorable side characters in the entire series. No list of Superb Owls would be complete without the trusty Bubo from 1981's Clash of the Titans. 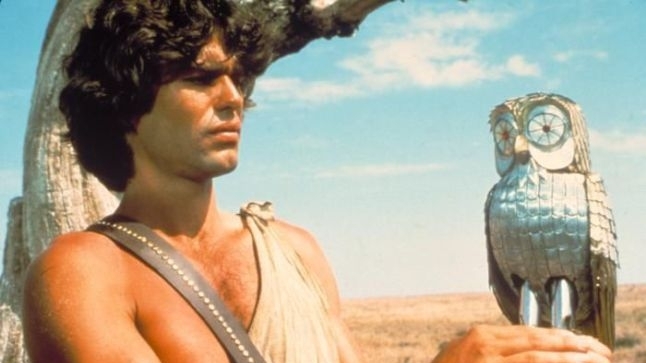 The mechanical replica of Athena's magic owl, Bubo acts as sort of a sidekick to Perseus (Harry Hamlin) and comes in handy on numerous occasions, helping his partner out in a pinch. Brought to life using animatronics and stop-motion animation thanks to the legendary Ray Harryhausen, Bubo became very popular with fans over the years, even earning a cameo in the not so good 2010 remake. So goofy you can't help but love him, Bubo is a Titan amongst cinematic owls.